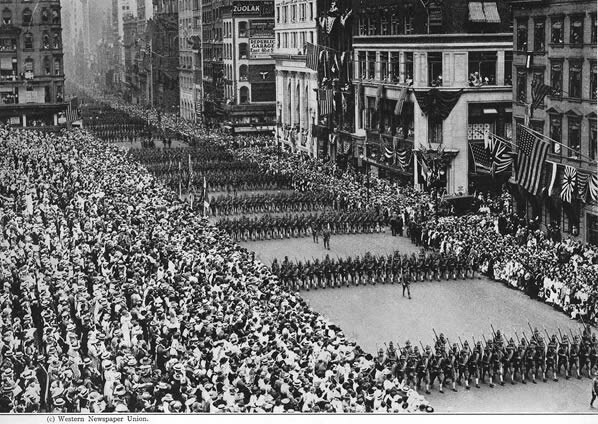 This is the parade of the 27th Division on Fifth Avenue in New York City on August 30th, 1917. Within the next month they would start leaving New York for training in South Carolina. From there they would be shipping out for France and combat. This was my Grandfather's Division. I have been researching his wartime experiences. 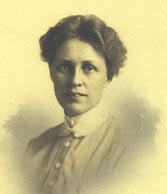 While looking for more information about him I did run across the story of a very interesting woman, Marion G. Crandall. She was the first American woman to die in the war as a result of enemy fire. Her journey from Iowa to France and then back again, is a very unusual story, particuliarly for a woman in the context of the times. Fluent in French, she spent time in Paris teaching school there sometime prior to 1916, when she returned home. 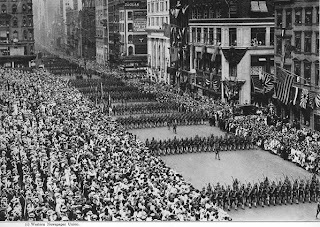 After the United States declared war on Germany in April of 1917, she enlisted as a nurse and returned to France where she was killed by an artillery explosion early in 1918. The link to her homepage appears to be broken, so I have not posted it here. But a quick Google of her name will take you to several sites about this fascinating and compassionate woman. She was one of those rare and brave souls who put her beliefs into action. And though that action led to her untimely death, it does not diminish what she did within the short space of her life.